As I show our clients various homes, they often ask about which kind of flooring surfaces are appropriate for the resale value of a home. Below, I have listed a quick guide to help our buyers and sellers make informed decisions on these products. 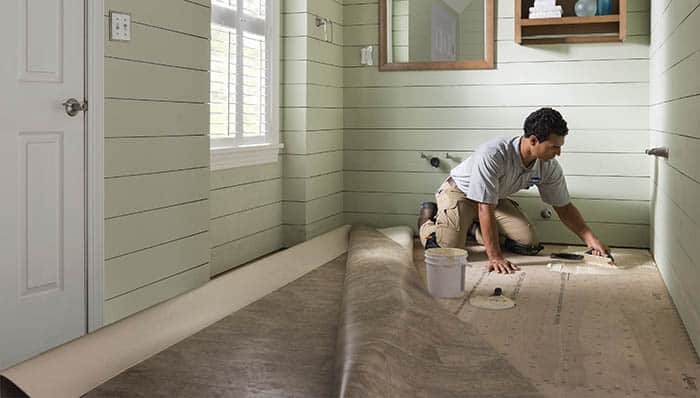 We tie these flooring solutions to a price range of a typical Tulsa home. If one puts an inexpensive product in an expensive home, they do so at the peril of devaluing the property. 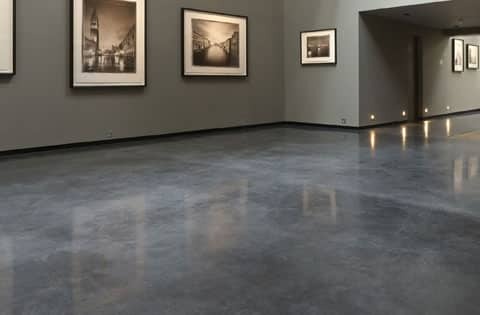 Stained Concrete – In most applications in homes, I have found this to be an unattractive option. It brings a cold, utilitarian feel to a residential space. I have seen it done in utility rooms off the garage though. Done right in a space made to catch dirt from the outside before active kids and pets enter the home, it can be a great choice. Home Values – Not generally recommended for any home. 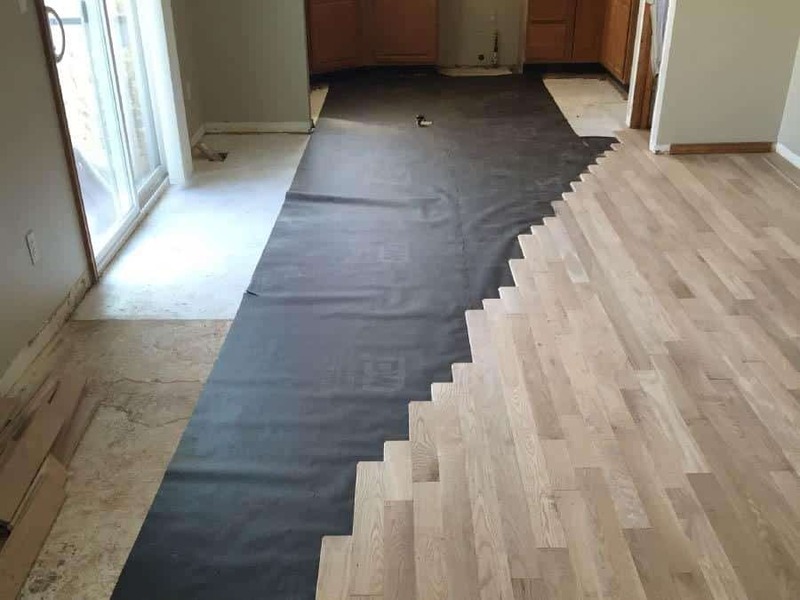 Rolled Vinyl – We find this product most often in apartments, rental properties, and lower end homes. It can be a great choice if your home is going to be sold quickly. A professional installation is a must. Pergo / Laminate Flooring – I believe this is the worst flooring product to ever have hit the market. If an ice maker supply line or a dishwasher floods the kitchen, these floors swell and come apart. Although they look great initially, they are often poor representations of wood and buyers can tell. Avoid this product. 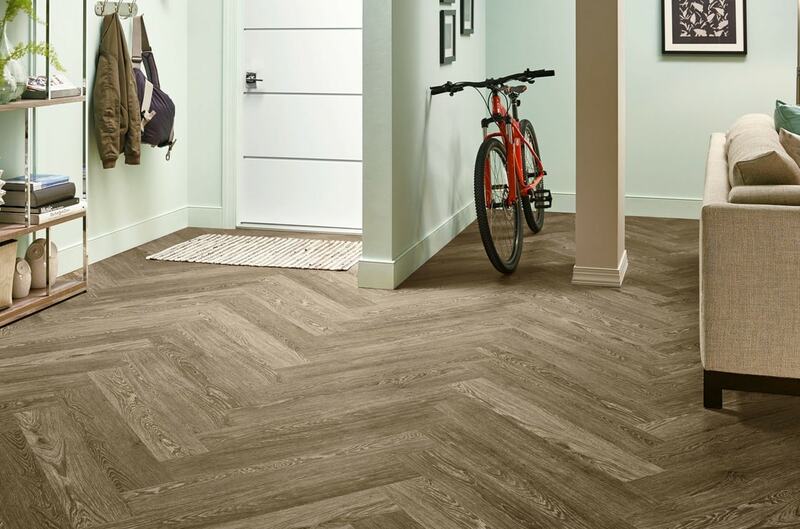 Luxury Vinyl Plank – I love this product for a myriad of reasons, but primarily because it is both tough and water proof. 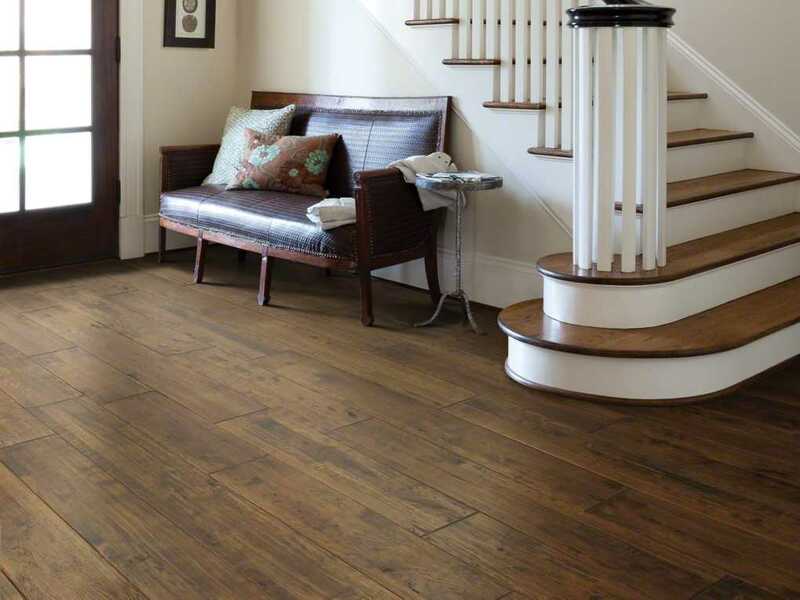 It’s price is less than plank tile and there are many durable choices that closely resemble wood. Properly installed it can support home values up to $300k. 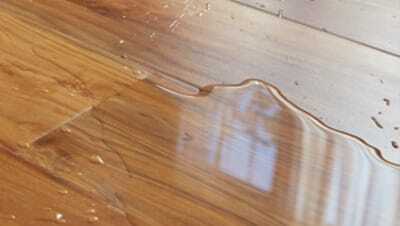 Careful though, homes more exspesive than that will demand wood plank tile or natural hardwoods. 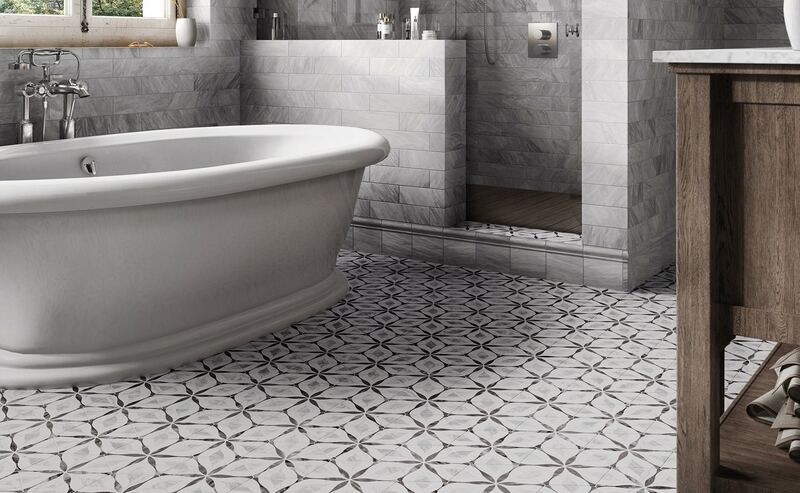 Porcelain & Ceramic Tile – Generally used in kitchens and bathrooms. It is an excellent choice for any home. Porcelain is generally harder and more resilient than ceramic. Sizes and dimensions vary. Engineered Hardwood – Engineered hardwood is best described as plywood with a thin layer of hardwood on the top surface. That veneer is given a super hard finish at the factory. It typically looks beautiful but has a major downside. It is not able to be sanded and refinished. For an excellent comparison go here. Wood Plank Tile – If you are wanting the hard wood look but need ultra durability because of pets, this is an excellent choice. I have seen it done in homes up to $500,000. 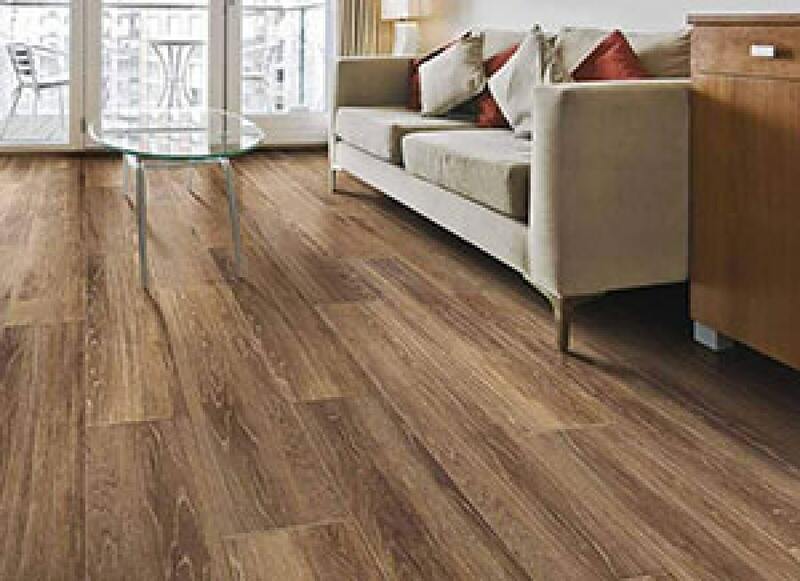 A beautiful choice for common areas that are both waterproof and nearly indestructible. 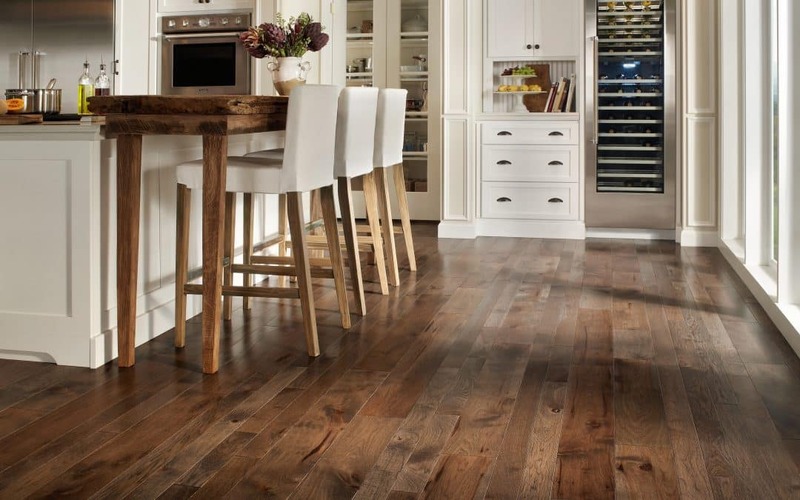 Hardwood Flooring – This is my favorite flooring for most any surface in the home except the kitchens and bathrooms. This is because all wood products buckle and warp in moist conditions. This is a classic flooring that in our market is usually oak. It can be sanded and refinished. Its classic look stands the test of time. 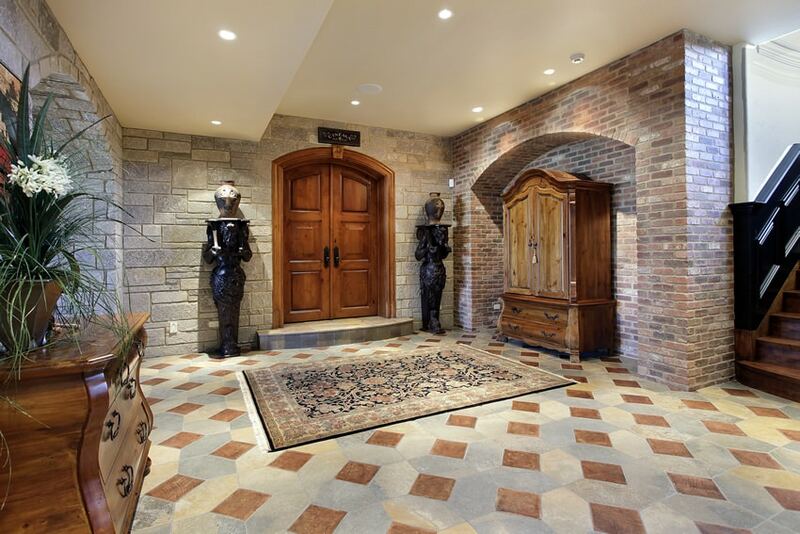 Natural Stone – Marbles, travertine, slates, and limestones are among the many choices of stone one can put on the floor. They are stunning. I would reserve the use of natural stone for the most expensive and spectacular spaces. This is a choice one makes disregarding pragmatism and practicality, primarily because most natural stones are porous and often soft. If one spills a glass of wine or other liquids, they are more susceptible to stains. This is some great info! Thanks for providing such high value information to your clients!